What's the secret to writing a hit song? It's as simple as 1-2-3-4-5-6! Innovative, practical, and inspiring, Six Steps to Songwriting Success presents a surefire step-by-step approach to mastering the elements consistently found in hit songs. Author Jason Blume, a songwriter with the rare distinction of having had songs on the Country, Pop, and R&B charts simultaneously, has packed this book with such key aids as the three-step lyric writing technique used by the pros; lyric, melody, and demo checklists; and tools for self-evaluation--plus many other exercises that work. Blume's warm, humorous style features motivational anecdotes and entertaining stories of how hit songs came to be written and recorded. 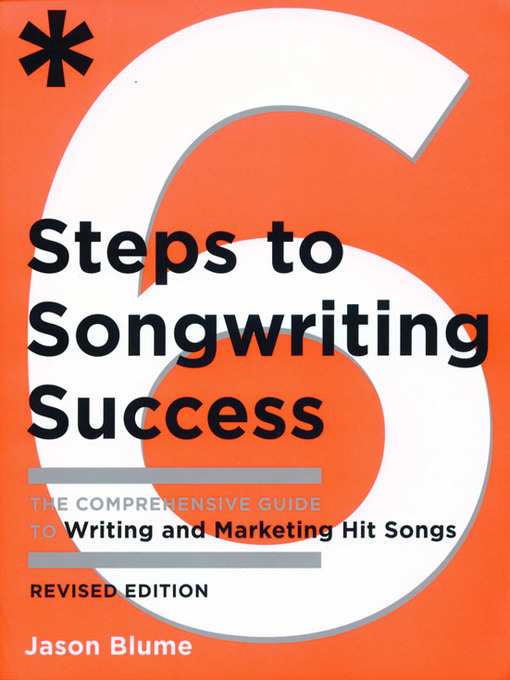 Get Six Steps to Songwriting Success, and get on the charts!